Vitamix BCP is a premix formulated for chicks (broilers and pullets). When included in the feed, these provide the necessary nutrients needed for improved productivity, growth and performance. 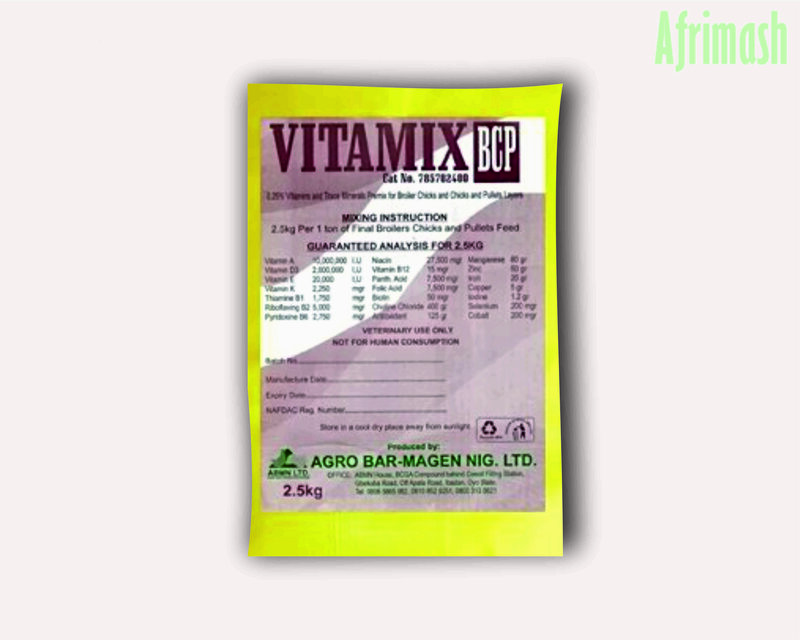 VitaMix BCP Premix is formulated for use in farms where growth promotion is important. They are designed to provide extra vitamins and minerals that lightweight animals need to develop strong bones and grow quickly. 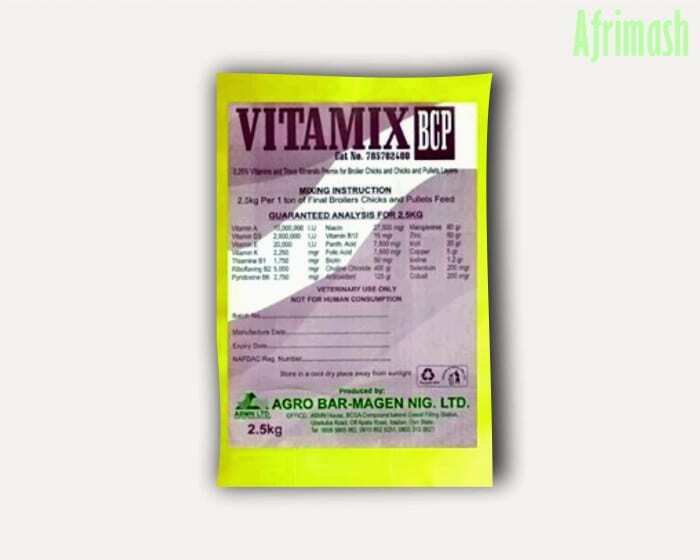 BCP gives the best picking up vitamin and mineral combination for the development of the skeletal system, immunity, organs, and intestines of broilers chick and pullets. Furthermore, a unique combination of micronutrients of BCP gives chicks a perfect foundation to fight against disease challenges while ensuring fast growth. Vitamin-Mineral premix produced for broiler chicks and pullets. Improves nutrient absorption and feed efficiency. Rapid growth and development of chicks.